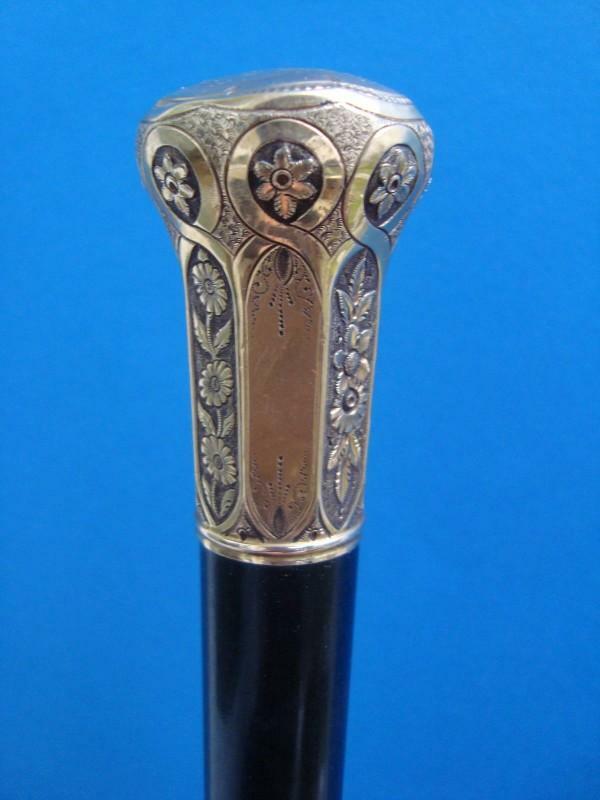 Antique cane with an elegant metal gilt knob, decorated with finely engraved flowers. On the top the dedication:: "C.K Clayford from His Friends inTroy Office Oct.17.1882." 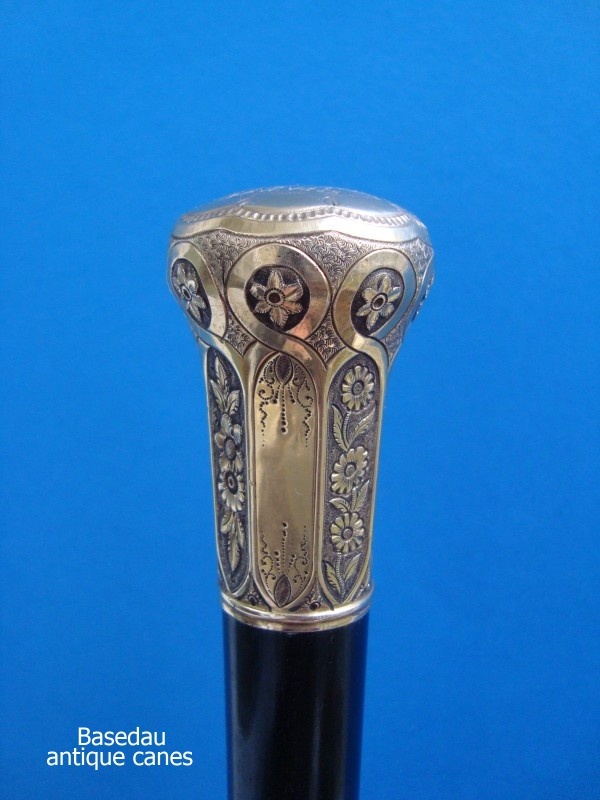 The knob is irectly fitted on an ebony shaft with a horn ferrule. 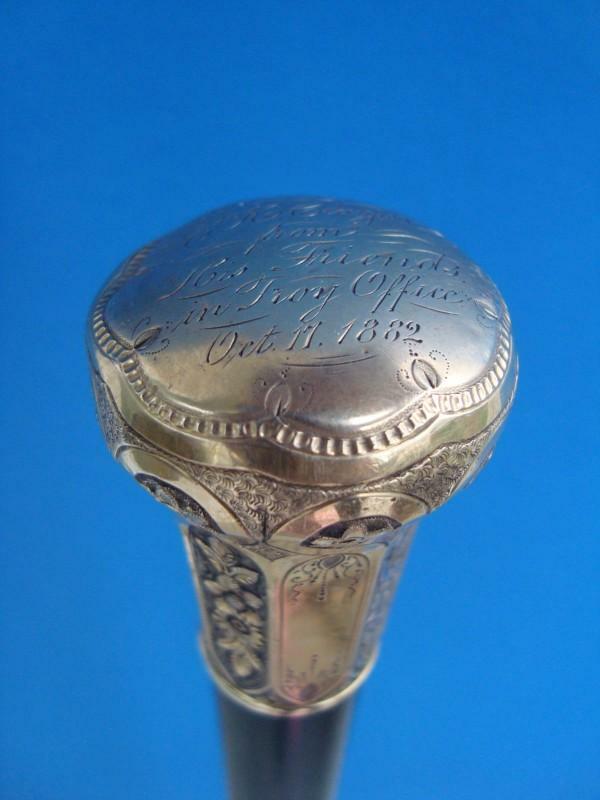 Measures: Handle length 5,5 cm, 2,1", overall length 87 cm, 34,25".